Colin has been reading as long as he can remember, and the works of Conan Doyle were some of the early works that kept him reading. The Adventure of the Naval Treaty is a short Sherlock Holmes story penned by Sir Arthur Conan Doyle. Conan Doyle, in this story, has the world famous consulting detective delving into the world of international espionage, for Holmes is tasked with securing the return of a vital Naval Treaty. For almost two years Sir Arthur Conan Doyle had been publishing short Sherlock Holmes stories in the Strand Magazine; and The Adventure of the Naval Treaty was penned by the author for the October 1893 edition. This Sherlock Holmes tale was therefore published the month after The Adventure of Greek Interpreter. Later in 1893, The Adventure of the Naval Treaty would also be published as one of the short Sherlock Holmes stories that made up The Memoirs of Sherlock Holmes. Today, The Adventure of the Naval Treaty is one of the most famous of the original canon of Sherlock Holmes stories; it is also interestingly one of the longest of the 56 short stories. The tale though, is not overly long, and The Adventure of the Naval Treaty can be read in one sitting. 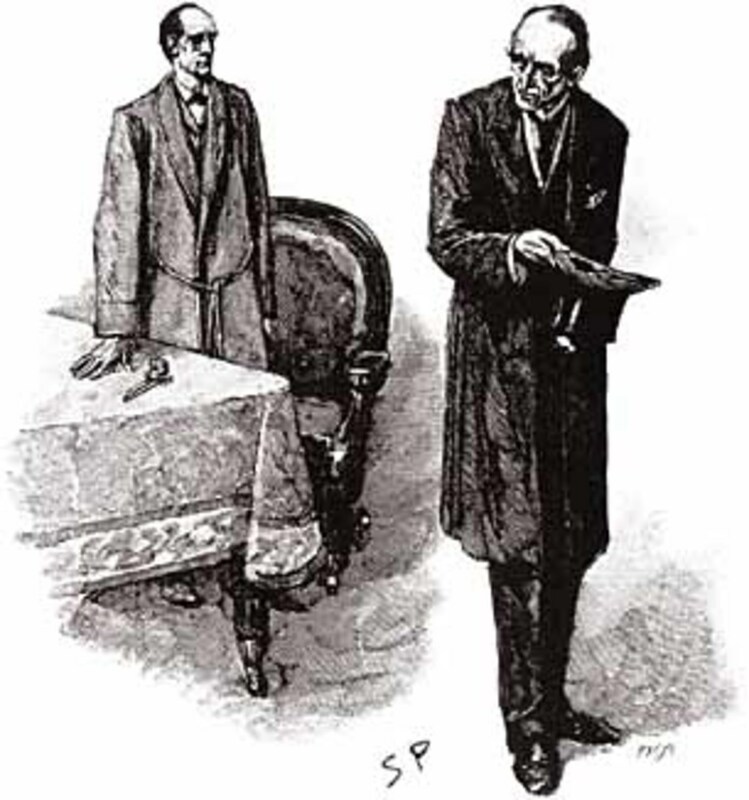 The case sees Sherlock Holmes dealing with high political and international intrigue, but at the same time Holmes is arguably more worried about the reputation of the individual, for the honesty of his client, Percy Phelps is being questioned. Sherlock Holmes of course does a much better job in recovering the missing Naval Treaty than Scotland Yard had done; and there is the theatrical flourish at the end of the case that was so in keeping with many of the cases Sherlock Holmes dealt with. The Adventure of the Naval Treaty was also adapted by Granada TV for the televisions series The Adventures of Sherlock Holmes starring Jeremy Brett. This adaptation kept true to the original storyline from Sir Arthur Conan Doyle. 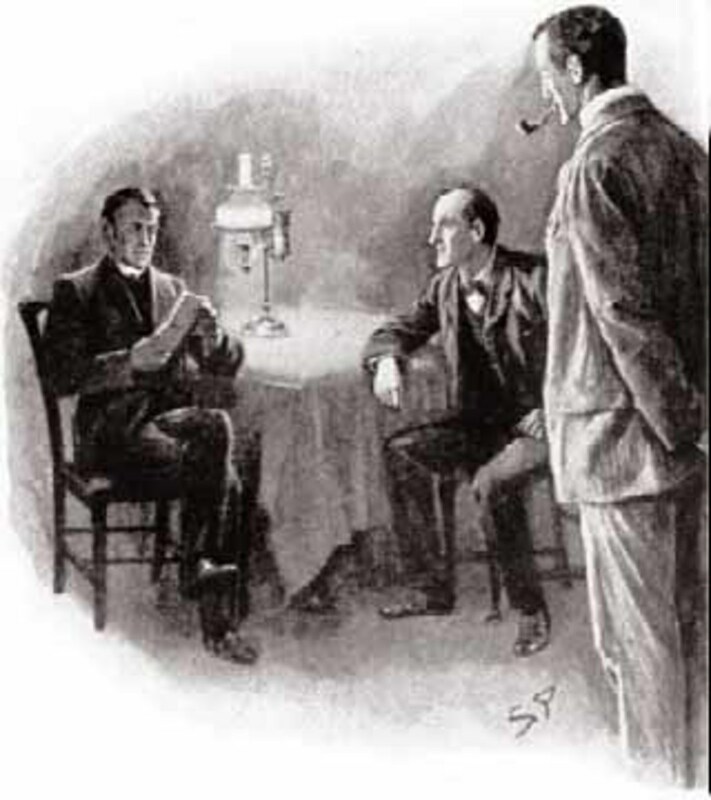 The Adventure of the Naval Treaty sees a case brought to Sherlock Holmes by Dr Watson; Watson has received a letter from an acquaintance from his school days, Percy “Tadpole” Phelps. Phelps has written hoping that Sherlock Holmes will be able to succeed where Scotland Yard has failed. The letter itself tells little about the details or importance of the case, aside from the fact that Percy Phelps has had a “brain fever” for some nine weeks. 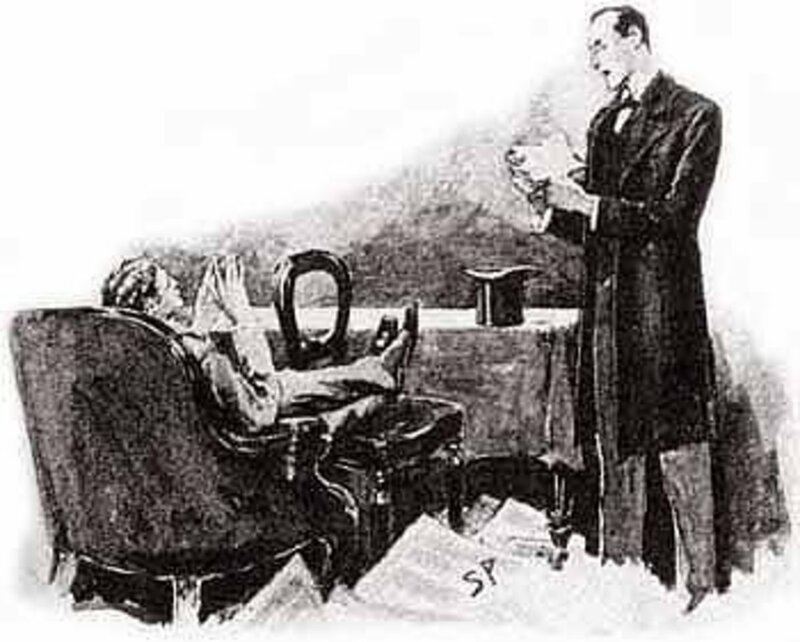 Holmes, when Watson presents him with the letter, also sees that it has been written by a woman’s hand rather than Phelps. Despite the lack of details, the letter is sufficient to see Holmes and Watson making their way down to Woking. On their arrival, they are quickly seen by Joseph Harrison, Phelp’s future brother-in-law, and then Annie Harrison, Phelp’ intended bride. 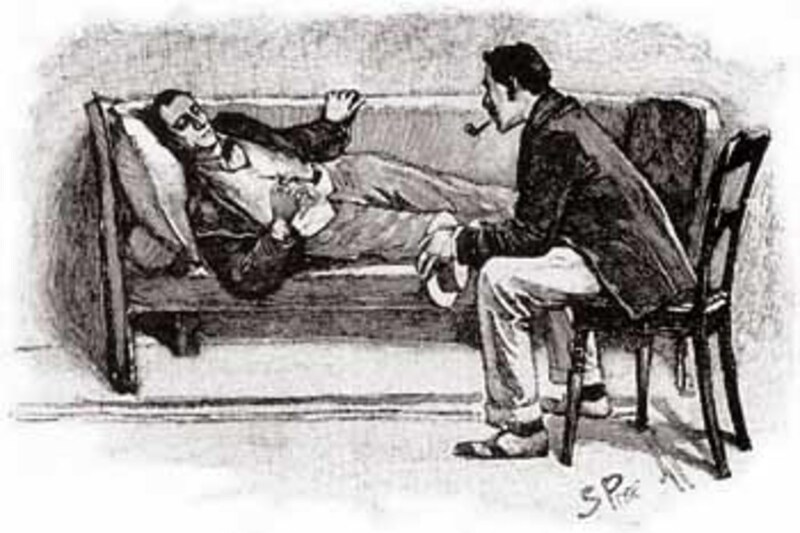 Holmes and Watson then meet the sickly Phelps, who goes on to tell his story. Phelps had managed to obtain a position of trust within the Foreign Office, thanks in no small part to the influence of Lord Holdhurst, Phelps’ uncle. 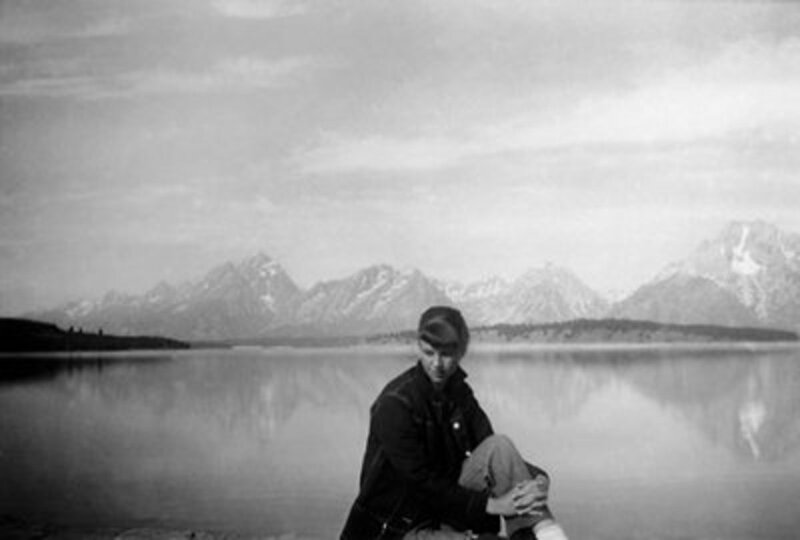 Phelps had been subsequently allocated the task of copying out a top secret naval treaty, a document of international importance. The task had proved to be a lengthy one, and as a result Phelps had had to stay at his office late into the evening. To remain focused, Phelps had rung through to the office’s commissioner to request some coffee, and the commissioner’s wife had taken the order. After a period of some time, the coffee had still not turned up, and so Phelps had set out to look for the commissioner. Phelps had found the commissioner asleep in his room, but then a bell rang; a bell which indicated someone was ringing from Phelps’s office. Phelps’s immediately realised that he had left the secret naval treaty out on his desk, and so ran back to his own office. Phelps’ office was empty when he rushed back into it, but as well as being empty, there was no naval treaty either; a thief must have taken the street exit to escape. Suspicion immediately fell onto the commissioner’s wife, for she had hurriedly left the building moments before the alarm was raised. Scotland Yard is called in, and they search the woman and her home, but no naval treaty is to be found. 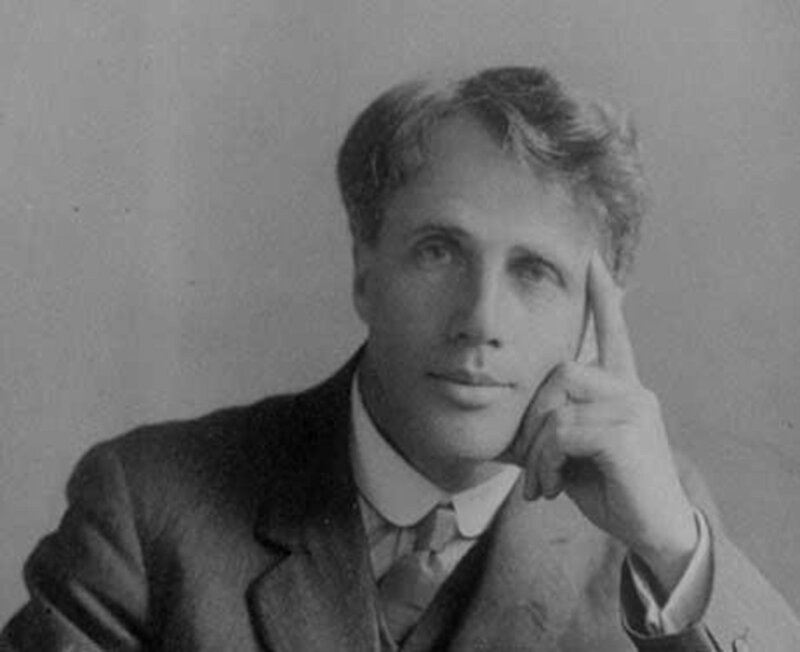 The disappearance of the naval treaty had caused Phelps to fall into a brain fever, and he had been immediately dispatched back to Woking to recover. In Woking, it had been felt unwise to move Phelps into his own rooms, and so had been left to recuperate in the downstairs drawing room, a room that had previously been used by Joseph Harrison who was staying with Phelps. It was in this room that Phelps had convalesced for nine weeks. 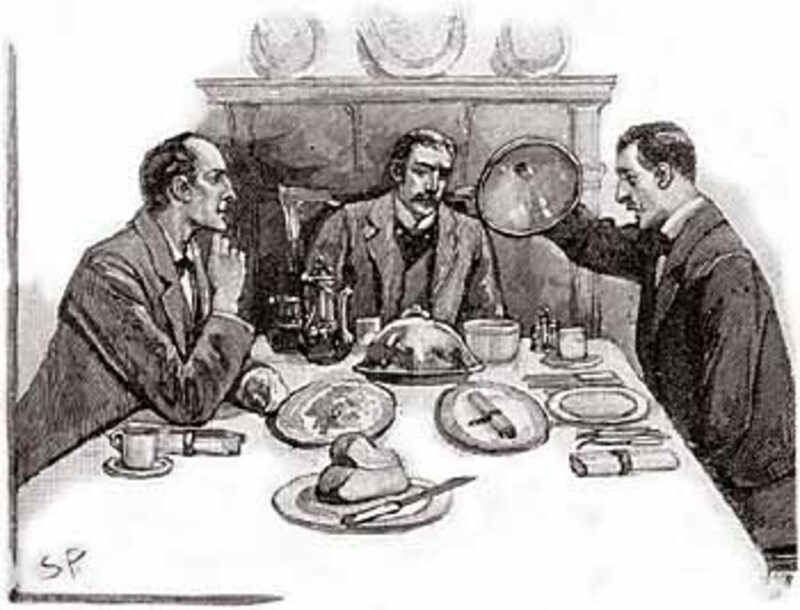 Holmes now starts to investigates, and he speaks with Inspector Forbes of Scotland Yard; Forbes offers up the important question of just why a thief would ring the bell to alert all and sundry of the theft. Holmes also speaks to Lord Holdhurst, and it is evident, because of the lack of international action, that the Naval Treaty has yet to be passed into the unfriendly hands, for Russia and France would be making it into an international incident. Back in Woking, strange events are afoot, for there had been an attempted break in at the home of Phelps; indeed, the targeted room, was the very one in which Phelps was recuperating. The break in attempt occurred on the first night that a nurse had not been present with Phelps, but the burglar had awakened Phelps in the attempt; Phelps observing a cloaked man with knife in hand. Holmes now has enough evidence to solve the case, although he is not quite ready to reveal the solution, but the detective does make plans. 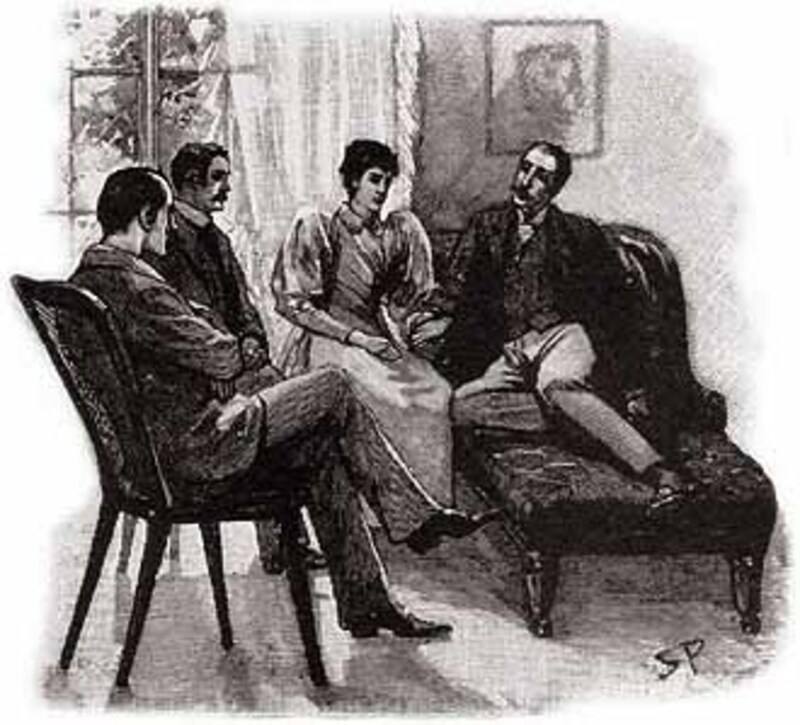 Firstly, Holmes converses with Annie Harrison, and gets her to stay in Phelps’ room for the day, and then to ensure that the room is locked that night. Then, Holmes announces that he, Watson and Phelps would be making their way to London; when the party departs though, only Watson and Phelps head to Baker Street, for Holmes secretly stays behind. The next morning, Watson and Phelps find that Holmes has also returned to 221B Baker Street, and there is evidence of some excitement overnight, for one of Holmes’ hands is bandaged. Holmes doesn’t immediately tell of his adventures though, and instead bids Phelps to partake of some breakfast. When Phelps uncovers one of the dishes though, he is shocked to see the missing Naval Treaty. Holmes then explains all. At Woking Holmes had observed Joseph Harrison making use of a knife to open the drawing room window, enter, and then remove the naval treaty from its hiding place beneath one of the floorboards. For nigh on 10 weeks, the missing naval treaty had actually been within arms length of Phelps. 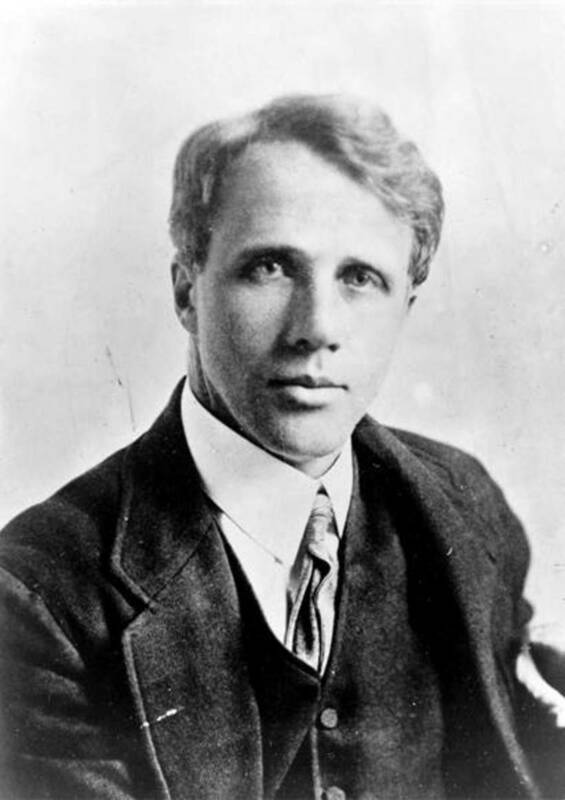 Harrison had been Holmes’ prime suspect from the very outset, especially when he heard that Harrison had been in London on the night the theft had occurred. It was subsequently apparent that Harrison had visited Phelps’ office, and had rung the commissioner’s bell when he had found his future brother-in-law absent. At that moment, Harrison had seen the Naval Treaty, recognised its importance, and decided to steal it. Harrison was in desperate need of money, having lost heavily in stocks and shares, and Joseph Harrison had reckoned either the Russians or French embassies would pay well for the treaty. Harrison had hidden the naval treaty in his room, but had been kicked out of it before he could dispose of it; and the previous night was the first night in which the room was empty enabling a recovery. 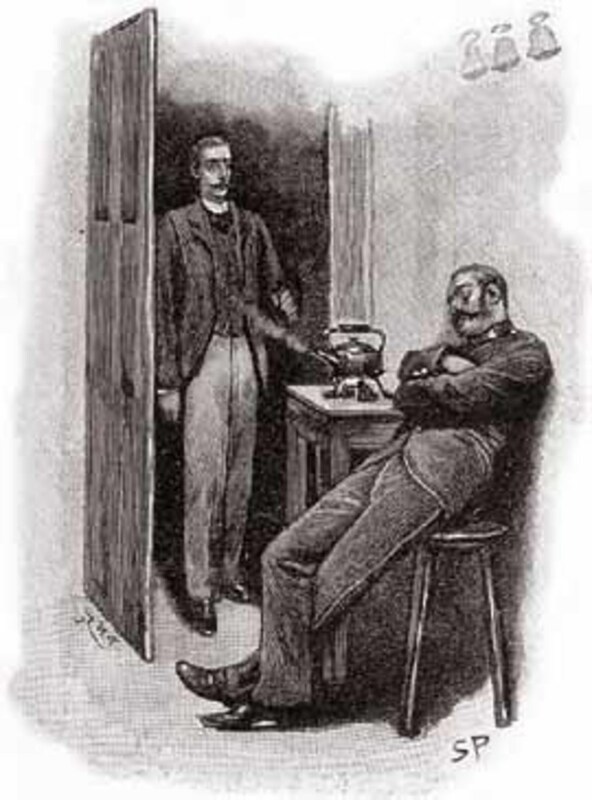 Holmes had not apprehended Harrison at that point, figuring that his quick departure would be best for all concerned; although Scotland Yard are made aware of the details. The recovery of the naval treaty though has ensured that Phelps’ reputation remains intact, and Holmes has also helped to avert an international incident.